This connector has a special connection that twists onto the end of the syringe. Push the catheter all the way onto the cone shaped end to secure the syringe to the catheter for a leak-free connection when using the syringe system for Castor Oil enemas. This item listing is for the Syringe Connector ONLY. For the syringe, catheter and clamp, see the Syringe Kit or the individual listings. This connector is for use to connect the 60 ml syringe to the catheter for castor oil enemas. Instructions: Twist this connector onto the end of the syringe. 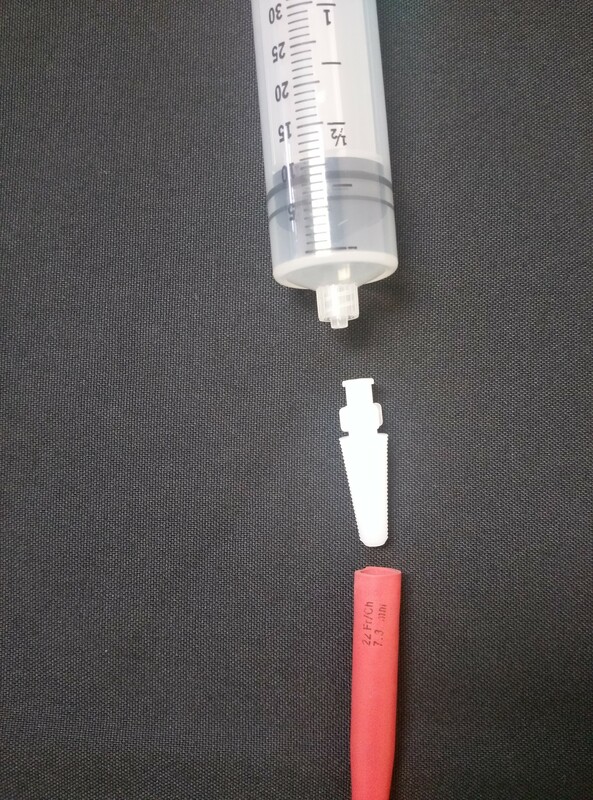 Push catheter onto the cone shaped end of the connector all the way to and slightly past the large end of the cone for the most secure connection.